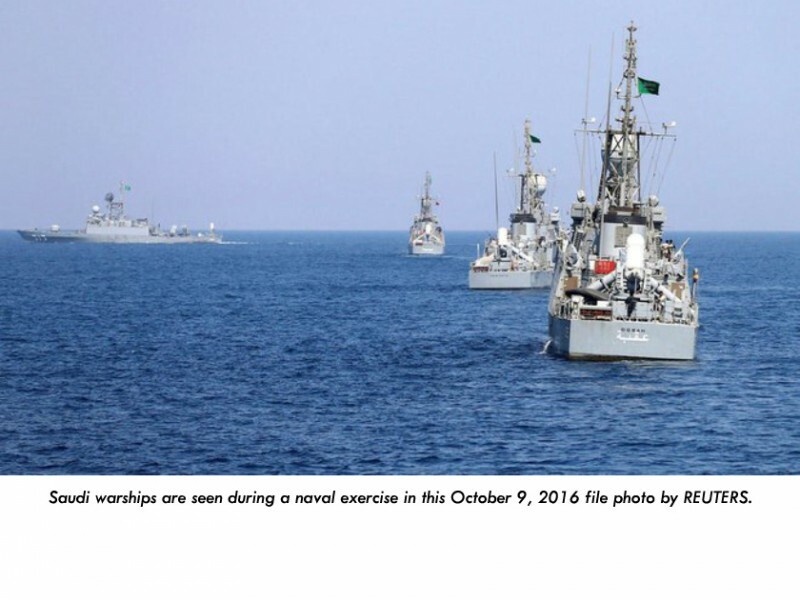 RIYADH, 8th May, 2017 (WAM)-- Royal Saudi Navy ships operating as part of the Arab Coalition have detected more naval mines off the Red Sea port city of Midi, the command of the Saudi-led Coalition backing Yemen's internationally recognised government announced, the state Saudi Press Agency reported on Monday. Examination by special teams revealed that the mines are rudimentary and were deliberately planted by the rebel militias off the Yemeni coastline, the Coalition said in a statement. "The planting of the mines in these spots (along the Yemeni coast) bears the hallmark of the coup militias," the statement said. The floating mines threaten international and commercial maritime traffic as well as relief and humanitarian aid vessels bound for Yemeni cities and provinces. It also represents a violation of international laws because they pose a serious threat to international ships and block strategic navigation routes, the Coalition command stressed. The Arab Coalition forces combating the rebel militias had previously warned of the presence of naval mines planted in the Red Sea by rebels.